Offering you a complete choice of products which include belt conveyor, belt conveyor with work table and pvc belt conveyor. Belt Conveyor offered feature precision construction standards as well as come with latest technology support which makes these deliver optimum functionality in meeting the transporting needs of ESD sensitive materials within an ultra clean environment. Here, the precision designed roller surface support ensures gentle, safe handling of electronics products. 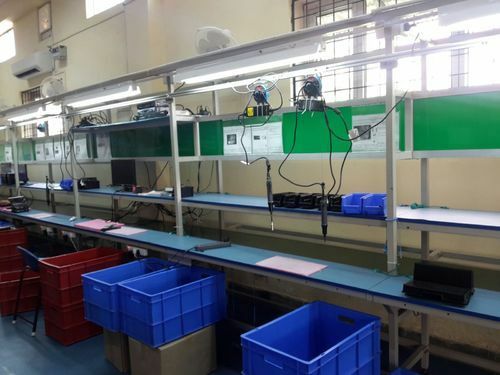 We are a most trusted name among the topmost companies in this business, indulged in offering an excellent quality array of Belt Conveyor with Work table to our valuable customers. 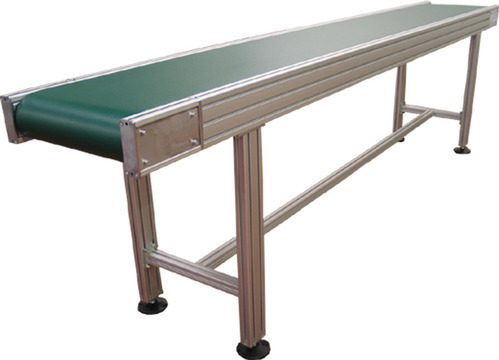 This Belt Conveyor with Work Table is designed by our talented professionals using the excellent quality basic material. 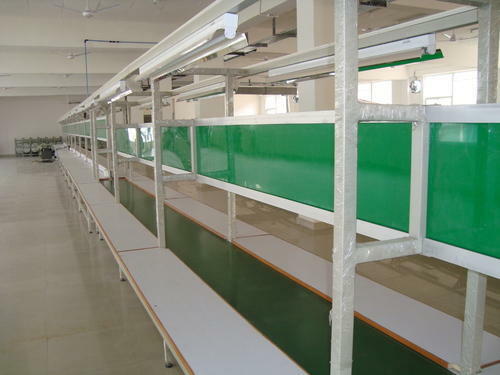 Further, it is tested on numerous quality stages by our quality inspector. We offer Industrial Conveyor System to our clients. The most versatile type of powered conveyor, suitable to be built in a variety of configuration, to convey a wide variety of regular irregular shaped products from light to medium loads. Foot Rests, Bin Supports, etc.